Take Action Now gives you three meaningful actions you can take each week—whatever your schedule. 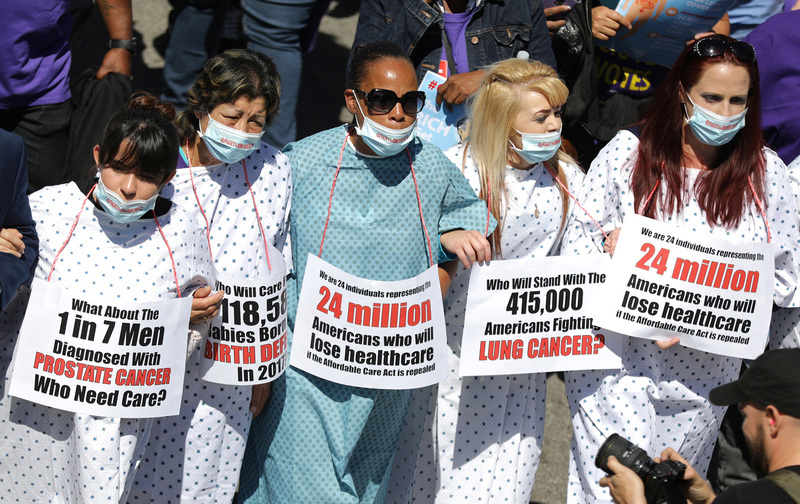 Our health care is on the line once again this week so we’ve listed multiple ways you can plug into that fight, along with information on supporting brave undocumented immigrant activists organizing a sit-in in Texas. You can sign up for Take Action Now here. Call your senators to demand that they reject Trumpcare and the repeal of the Affordable Care Act. Once again, this is an emergency. Today the Senate voted to proceed with debate on the repeal of the Affordable Care Act and a full vote could come this week. If you’re calling a Republican senator, demand that they vote “No.” If you’re calling a Democrat, demand that they use every tool in their arsenal to stop this. Use Indivisible’s explainers to demand that they “filibuster by amendment” or go after provisions that violate the Byrd rule. You can reach your senators by calling (202) 224-3121. Finally, text “CARE” to 668366 and MoveOn.org will be in touch with more actions you can take. Join or support DACA activists in Texas as they stage a sit-in tomorrow to fight for permanent protection, dignity, and respect for all immigrants. DACA refers to Deferred Action for Childhood Arrivals, the executive order implemented under the Obama administration to protect the “DREAMers,” undocumented immigrants who arrived here as children and have spent nearly their whole lives in the United States. Tomorrow, July 26, brave DACA activists will organize a sit-in at the Texas State Capitol. Texas is one of 10 states suing to end DACA and also recently passed SB 4, an anti-immigrant law that allows local law-enforcement personnel to question the immigration status of anyone whom they detain for any reason. If you’re nearby, you can sign up to join the sit-in here. Otherwise, sign up here to lend your support in any number of ways, including calling the media or promoting on social media, and an organizer will be in touch with explicit directions. Get in the streets to save our health care and get your neighbors on board. Senators need to see massive public resistance if we’re going to kill the Republican “health-care” bill—and any cuts to our health care—once and for all. Tomorrow, July 26, join Planned Parenthood for a rally in DC. If you can’t make it to DC, plan or find an action in your hometown. You can connect with Indivisible groups here, find actions at Resistancerecess.com, or reach out to an ADAPT chapter near you here. Finally, MoveOn.org is training people to canvass for a “Neighborhood Listening Project” this weekend to talk with their neighbors about fighting cuts to our health care. You can find more information and sign up here.